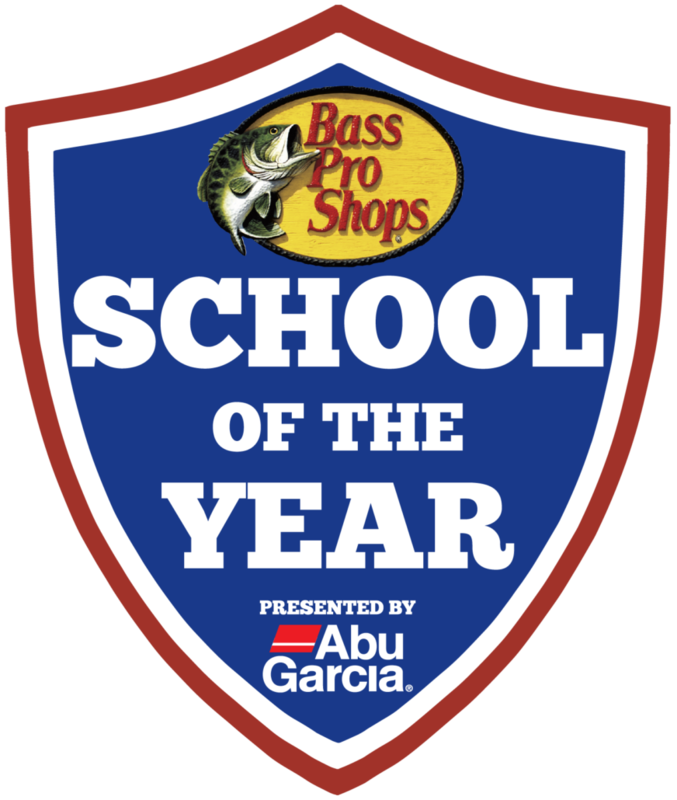 The most recent update to the standings for the Bass Pro Shops School of the Year presented Abu Garcia shows the race to be narrowing at the top of the standings. This specific update contains point totals from both a B.A.S.S. State Qualifier and an FLW Regional. Bethel University recorded a top five finish at the state qualifier to draw within five points of McKendree University in first place. The biggest move inside the top 10 was made by Oklahoma State University. OSU earned 485 points at the FLW Regional on Lake Texoma to jump from 10th place up to eighth. Experience and confidence are two characteristics of a successful team that are invaluable. Of all of the teams inside the top 10 for the School of the Year, it’s hard to argue that any one team has more experience and confidence than Bethel University. After winning the title in 2018, Bethel has backed up that great season with another solid performance on the college tournament trail through the 2018-19 season. Having a team finish in first place at one National Championship and second at another helped set the tone for their season. As the spring has progressed, Bethel has continued to gain steam. Bethel University has narrowed the margin between themselves and first place McKendree University to just 5 points. The FLW Regional on Lake Cumberland this upcoming weekend will play a key role in possibly shaking up the standings even further. One team that is doing their best to also shake things up is Oklahoma State University. The OSU Bass Club jumped from 10th place into eighth following the FLW Regional at Lake Texoma. Dexter Flick and Cameron Simmons weighed in 18 lbs. 1 oz.to claim 4th place and earn 485 points. 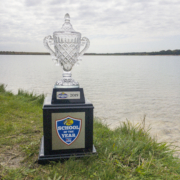 Prior to the event at Lake Texoma, Flick & Simmons were featured on the most recent episode of the #WeAreCollegiateBass Podcast. The pair were in the process of traveling to Texoma for the event at the time. 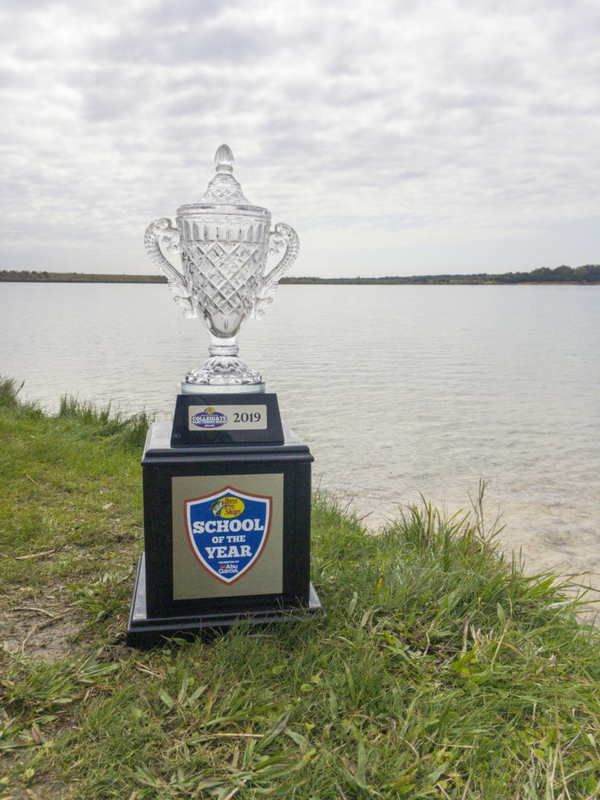 The magnitude and importance of this event for the OSU anglers was huge. 500 points were on the line at this event, and the most important element in play…they were the only team in the top 10 competing that weekend. A top five at the regional could prove to play a key role in OSU’s season if they hope to finish inside the top 25. 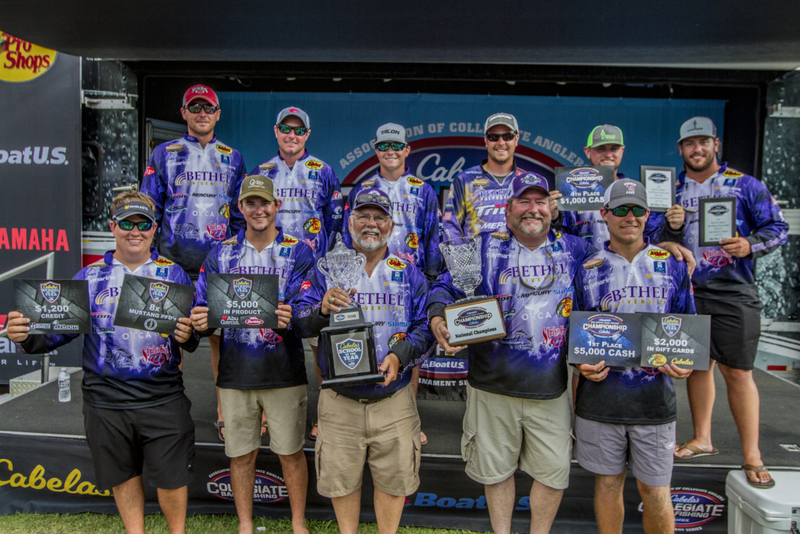 Other notable teams on the move following strong showings at Lake Texoma are Tarleton State and Texas A&M. Tarleton moves from 31st into 21st, and Texas A&M slides into 25th after being in 34th during the previous update. More moving and jockeying for first place will occur as an FLW Regional is set to take place on Lake Cumberland this weekend.